I need help with my addiction and my brain? I am struggling with addiction to painkillers, methamphetamine, Xanax and depression I am a 38 year old male with a family. Also, I am the sole provider of my house hold so I just cannot stop working to detox. Comments for I need help with my addiction and my brain? Join AA or NA immediately! From your question, it seems like you know that your life is totally unmanageable and likely to crash unless you take immediate action, but you still want limit your commitment to your recovery. 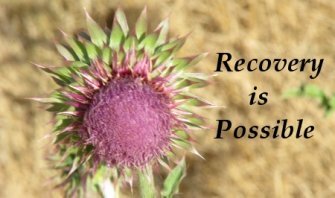 It will be impossible to end your addiction without going through detox. Drug addiction is a disease of the brain, which means the drugs you're taking are attacking your brain and changing your brain chemistry in harmful ways. Detox is the process that allows your brain to heal itself and get back to how it was before your used drugs. In order to end your addiction you must detox to allow your brain chemistry to re-balance itself and stop requiring the drugs to function. That's also way medical supervision is a must as you detox. Going to AA or NA will allow you to understand your addiction and find the local resources necessary to begin the process of regaining control of your life. Going to meetings and working the 12 steps teaches us what we need to do to get control of our life back.